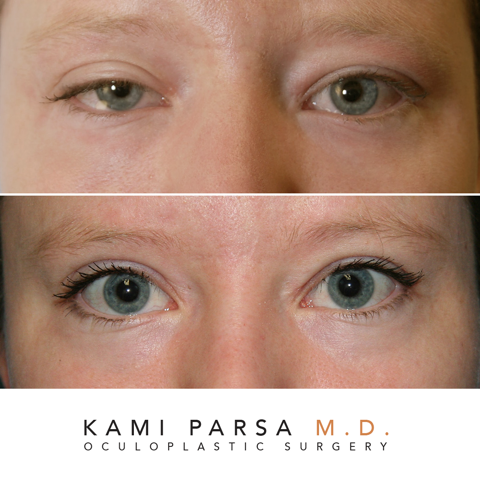 This beautiful patient had developed a droopy eyelid on the left side from wearing contacts. Her biggest concern about any surgery was having an eyelid scar. 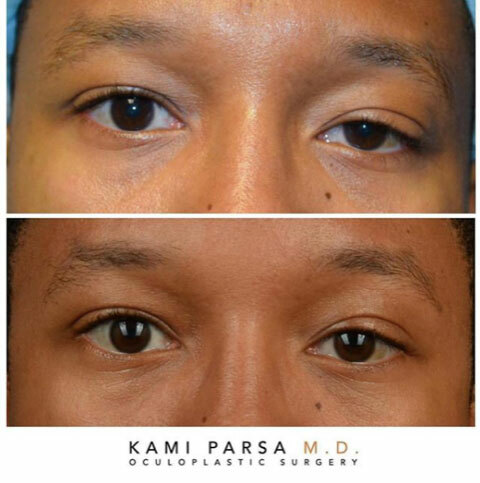 I performed a scarless surgery were the cut is made on the inside of the eyelid to achieve a natural symmetrical result. 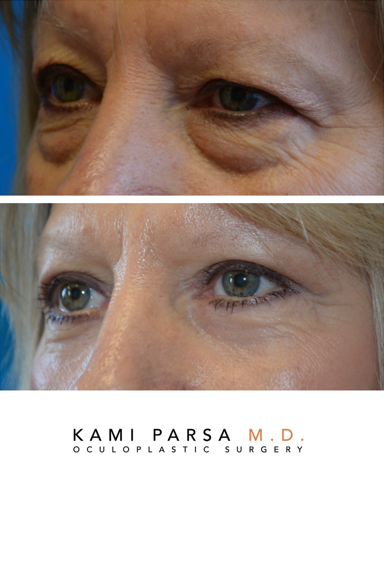 Ptosis Surgery, fat transfer to face for volume loss, and Co2 laser resurfacing.